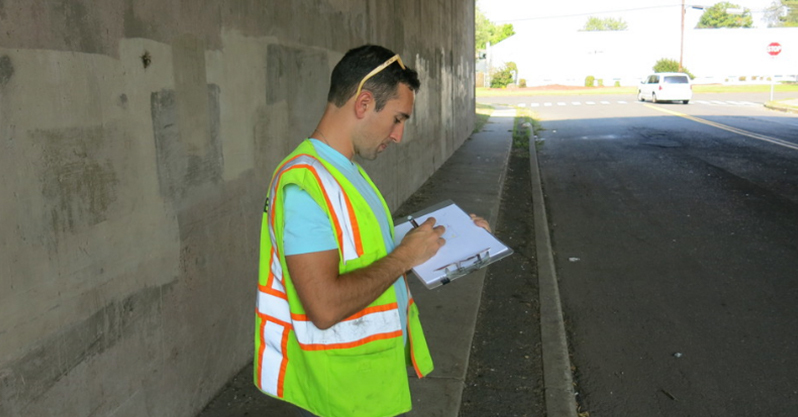 GPR and FWD Survey of Composite Pavement in CT Route 2 in Hartford, Connecticut - Infrasense Inc. 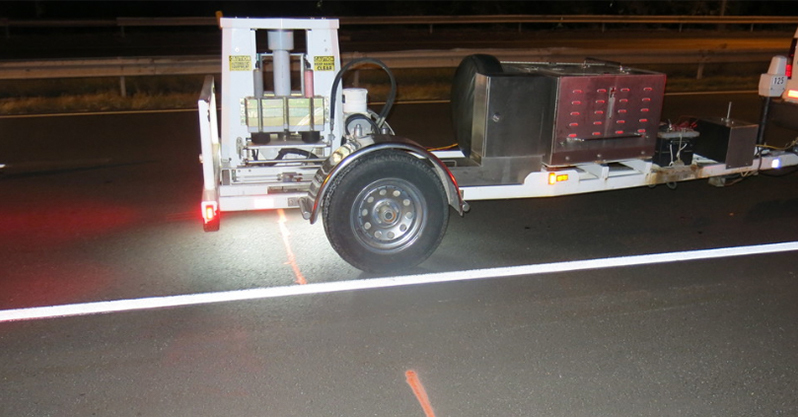 The GPR data was collected at highway speed and provided a 100% screening of the project area. Conditions detected with GPR were confirmed with targeted FWD testing (load transfer efficiency, void potential) and coring (layer thicknesses, deterioration). In addition to the pavement survey, 14 bridge decks were evaluated to determine AC overlay thickness, rebar depth, and extent of deterioration. Underside Inspection of a bridge deck in Connecticut. 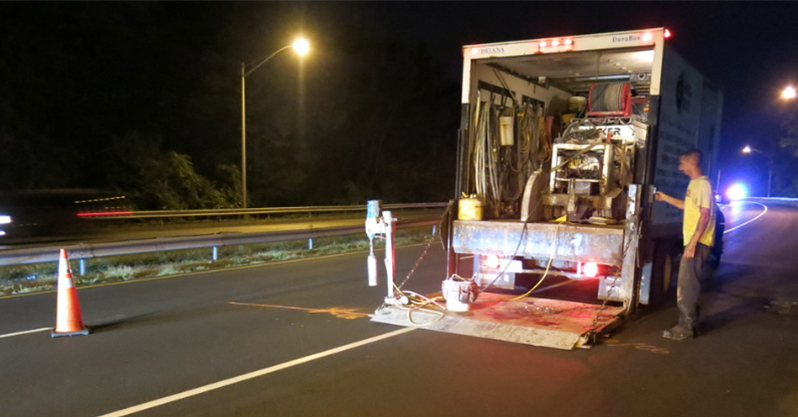 Falling Weight Deflectometer testing was performed by Fugro to evaluate load transfer efficiency of a composite pavement in Connecticut. Extraction of pavement cores in Connecticut.